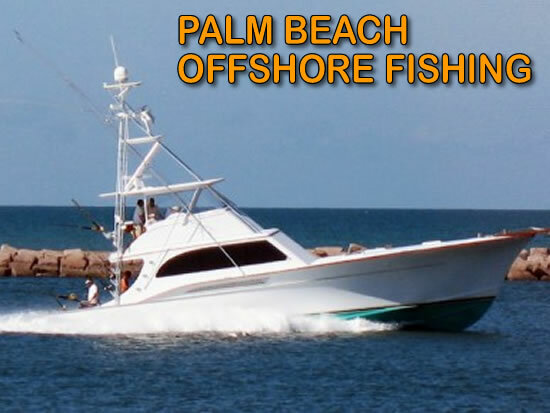 Palm Beach Offshore Fishing Charters regularly take anglers offshore to catch some of the most phenomenal sports fish found anywhere in the world, and there is a large variety of the most sought-after of them in these waters. The Gulf Stream current brings migrating fish close to shore, so we do not need to travel far to catch some of the world’s biggest game fish. You are sure to catch many of them onboard our luxury fishing boats in Palm Beach. There is a massive diversity of sports fish swimming off the coast of Palm Beach and you have the chance to catch any of them on our Palm Beach Fishing Charters. Fish such as tuna, dolphin, wahoo, grouper, blue marlin, white marlin, swordfish, shark, sailfish and snapper guarantee anglers a serious challenge. The reward of catching these giant fish is pure exhilaration and the experience comes highly recommended. Anglers come to Palm Beach to ensure that they have the highest possible chance of catching these gigantic fish because these waters literally teem with so many types of them. We offer a variety of offshore deep sea guided fishing trips off the coast of Daytona Beach. Each trip offers its own variety of some hard fighting fish, that are prized not only for their ability to put up a great fight, but also for their food value. For those looking for a big time fishing adventure on the high seas, Our Orlando Fishing Charters offer offshore guided fishing trips in the deep waters of the Atlantic. You’ll fish 15 or more miles off the coast of Daytona Beach, in search of some of the most prized game fish the ocean has to offer. 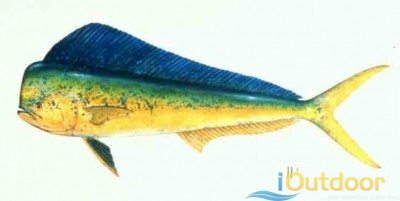 You’ll spend the day trolling in pursuit of dolphin (mahi-mahi), wahoo, and tuna. If you would prefer, you can fish deep wrecks, or drift drop-offs and deep ledges in search of grouper, cobia, snapper, and a variety of other species. These are some of our Orlando Fishing charters going out of the Daytona Beach area which are an extremely popular activity for locals and for visitors. We offer many types of fishing charters in Daytona Beach, from inshore to deep sea fishing where you’ll be hunting big game fish in the rich waters of the Atlantic Ocean. We arrange Daytona Beach fishing charters on a variety of different types of boats for as little as half day, on up to multi-day fishing expeditions. With our expert local knowledge, we’ll help you find the best fishing boat in Daytona Beach at the best price possible. Some of our yacht charters can take over six passengers by using a special charter contract that allows them to accommodate extra passengers while still complying with tthe law. Please contact us for more information.